At least 25 people are dead and dozens wounded after an explosion has ripped through a market in the north-western Pakistani city of Peshawar, officials say. Police said a bomb had exploded in the Kissa Khwani market, with shops and vehicles set alight. The blast comes a week after a double suicide bombing that killed at least 80 people at a church in the city. On Friday, at least 17 people were killed in the bombing of a bus carrying government employees near Peshawar. Peshawar, the main city of Khyber Pakhtunkhwa province, has been hit by numerous bomb and gun attacks blamed on Taliban insurgents in recent years. Police said they suspected the explosion was caused by a car bomb. Pakistan’s Dawn newspaper quoted the health minister as saying that the main Peshawar police station may have been the main target. An emergency situation was declared at the Lady Reading Hospital as it received the injured, many of them badly burned. Rising violence has hindered new Prime Minister Nawaz Sharif’s overtures to end the insurgency through peace talks with the Taliban. The Taliban have consistently rejected Pakistan’s constitution and demand the imposition of Sharia law. Nawaz Sharif is in New York at the UN and is to meet Indian PM Manmohan Singh later on Sunday. Ahead of the talks, Manmohan Singh said Pakistan must stop being “the epicentre of terrorism”. 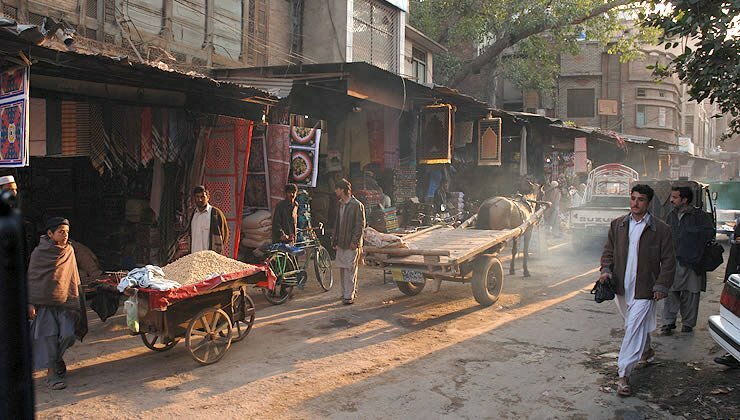 Last Sunday’s attack on the historic All Saints church – thought to be the deadliest attack against Christians in Pakistan – sparked angry protests nationwide. Two Islamist militant groups with Taliban links said they had ordered the attack to hit back at US drone strikes. More than 120 people were wounded. Friday’s bus bomb targeted government employees returning home in the Gulbela area, some 9 miles north-east of the city. In addition to those killed, at least 34 people were injured.